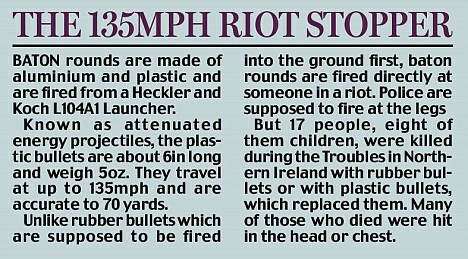 Police are prepared to use plastic bullets for the first time on the British mainland if student protests planned for tomorrow erupt into violence. Scotland Yard revealed yesterday that the baton rounds have been authorised for a student fees march in London amid fears it could be hijacked by anarchists and troublemakers. 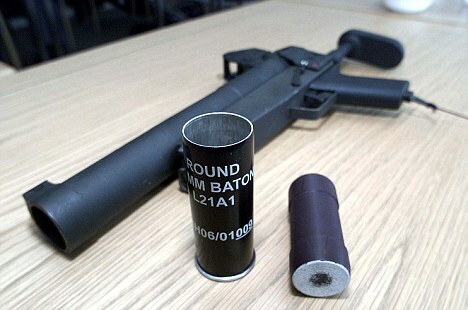 Baton gun rounds have never been used on the British mainland, but they have been linked to deaths in Northern Ireland. Officers stressed yesterday that they were not planning to use baton rounds and they would only be a last resort if all other tactics had failed and officers’ lives were at risk. Commander Simon Pountain, who is in charge of the police operation, said armoured vehicles, known as Jankels, would also be on standby if the protests saw a repeat of this summer riots or the chaos last year during the student fees demonstrations. Baton rounds were pre-authorised during August’s riots but were not used. This is the first time they have been pre-authorised for a planned protest march on the mainland. The march, organised by the National Campaign Against Fees and Cuts, is due to go from Bloomsbury in Central London to the City. It is being kept away from the St Paul’s anti-capitalism protest but activists from the cathedral camp are expected to join in. 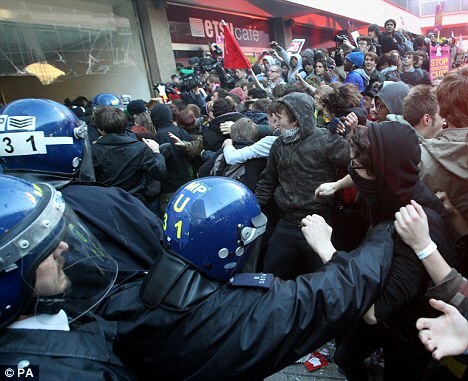 Last year, the then Met Commissioner Sir Paul Stephenson was criticised for only sending out 225 officers who were overwhelmed by hordes of rampaging student protesters smashing into the Conservative Party headquarters on November 10. And on December 9, during another student protest, Prince Charles’s limousine was besieged in the worst royal security breach in a decade. The Duchess of Cornwall’s face was a mask of terror as rioters swarmed around their Rolls-Royce Phantom VI, kicking, hitting and rocking the car. One managed to poke her with a stick through a window. By contrast, more than 4,000 police will oversee tomorrow’s march, which is expected to attract crowds of 10,000. Police leave has been cancelled and 550 officers have drafted in from outside forces in. Mr Pountain said baton rounds and Jankels would be available in reserve after the latter proved effective when they were brought in to push back rioters in Clapham and Hackney in August. 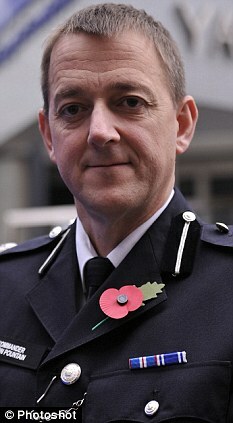 ‘I would not be putting baton rounds on the streets but I have asked for them to be available,’ he said. Jenny Jones, a Green Party member of the Metropolitan Police Authority and London Mayoral candidate reacted with horror. ‘Any officer that shoots a student with a baton round will have to answer to the whole of London,’ she said.